Somerville Community Growing Center — Terra Cura Inc.
Funding Source: Somerville Community Preservation Act Grant / FCGC (501c3) donation/ COGDesign in-kind service. Do you love the The Somerville Community Growing Center? Have you ever attended an event there? Do you not know what this urban garden oasis is in Somerville? Learn more about one of Somerville's best kept green spaces in this short educational video. The video was created by the ever talented Stuart Roelke and stars Eva Leung and Adam Davenport of Terra Cura Inc. and Lisa Brukilacchio of the Growing Center. The redesign of the Somerville Community Growing Center has been a year-long community process led by Terra Cura. Our team developed the concept proposal for securing funding through the city of Somerville. The project began with Analysis and Assessment of both the site and programs ran by the Friends of the Growing Center, 501(c)3. 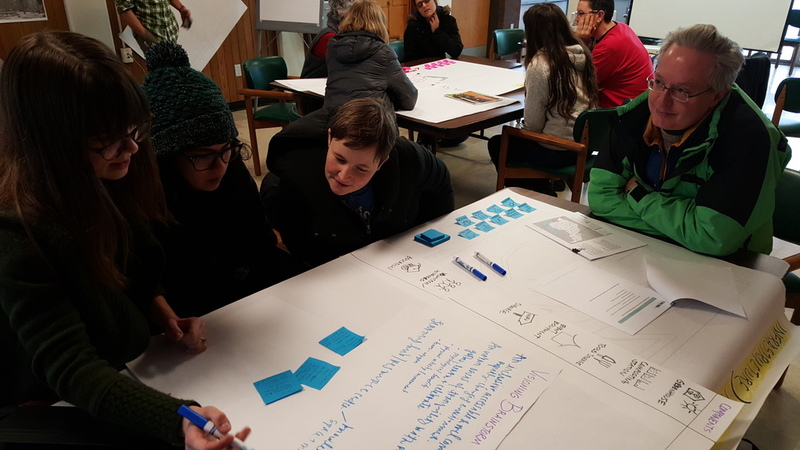 The site analysis supported a Community Visioning Charrette which articulated goals for the future of the Growing Center, driving Schematic Design. Terra Cura conducted iterative design feedback sessions through educational workshops, digital updates, and other public Design Charrettes that informed Design Development. Terra Cura organized and managed multiple review sessions with the city and Landscape Architect; produced Performance Specifications (design details and instructions) to develop a project budget for construction and fundraising. Terra Cura is currently helping SCGC secure implementation, project management and educational program funding.